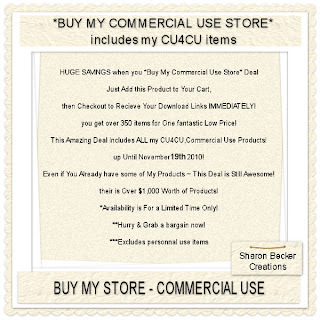 Sharon Becker Creations: Sharon Becker's BUY MY CU STORE Deal! Sharon Becker's BUY MY CU STORE Deal! added to store up Until November 19th 2010!